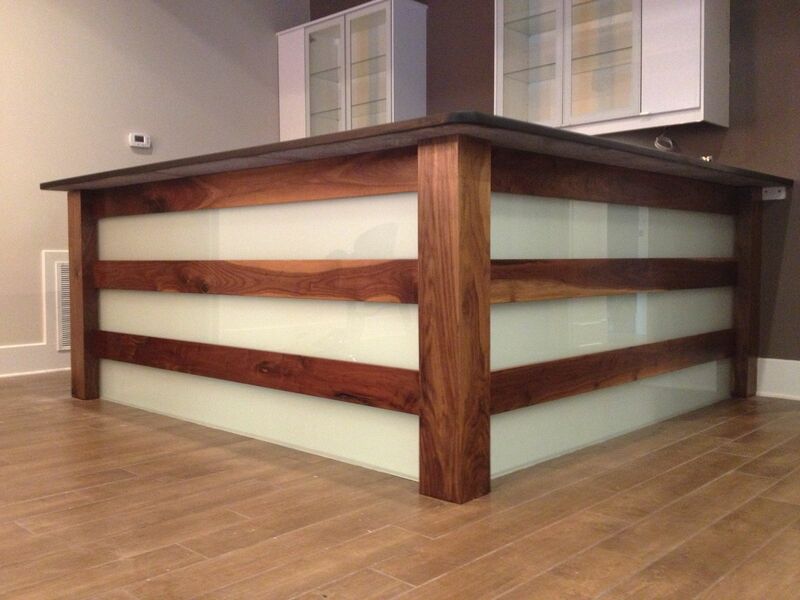 This bar was made to look like a fence to go with the rustic themed basement. Lighting was added to give this a special look. 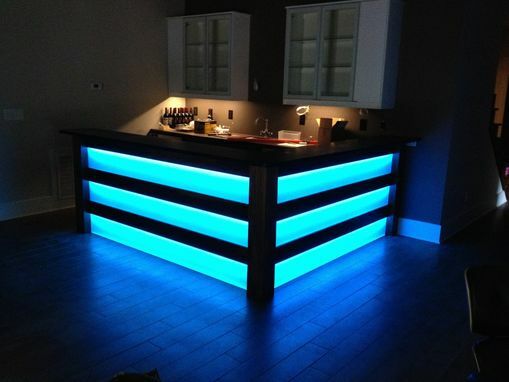 Color of the lights changes to match any and all decor. 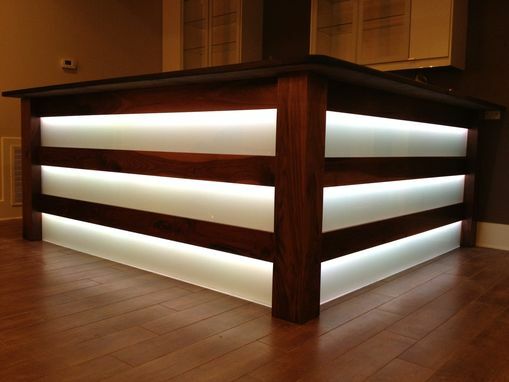 Frosted glass panels let the lighting show through.